The Factory is a hardware design lab run by students, for students in the department of Electrical, Computer, and Software Engineering at McGill University. 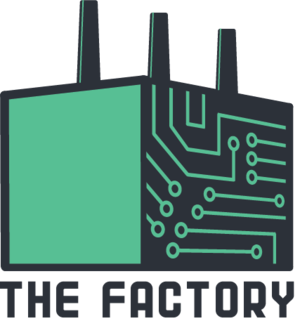 The Factory is a dedicated space in room 0080 of the Trottier building for developing personal projects, gaining experience with the latest hardware, or just brainstorming ideas with fellow students. The Factory aims to foster an environment of innovation and collaboration where the resources are provided to make your ideas become a reality. The lab aims to provide a range of lab equipment, hardware, and software from beginner development boards, to more advanced hardware typically unaffordable to students. Trained staff, who are themselves dedicated students, will be on hand to offer assistance and foster an environment of collaboration. Workshops spanning a wide range of subjects will be hosted to further the members’ technical repertoires. Basic tutorials such as soldering and programming will be . given, as well as more advanced lessons given by industry guests or graduate students. Similarly, workshops geared towards engineering soft skills such as entrepreneurship and management will be given for those looking to commercialize their designs. This page was last edited on 2 October 2018, at 16:32.